The reason I dedicate myself to helping animals so much is because there are already so many people who dedicate their lives to hurting them. The above quote is the main reason why I have this blog. I want to help animals by spreading the word and connecting with others. We are their voice and animals indeed are feeling beings too. Here are pics friends have sent in for me to use on my blog. I thought I would showcase the ones I have used so far along with a link to the post the picture was used on. That way, if you missed a post, you can click on the link and check it out now. Enjoy these adorable furry friend faces! And last, but not least these two beautiful cats were part of the “Share Your Animal Pic” post. If you have an animal pic you wouldn’t mind sharing with me for use on my blog, just click the link here! If you did share your picture with me and I haven’t used it yet, believe me I will! I have plenty more posts to come. This entry was posted in Animals and tagged adopt animals, animal, animal adoption, animals, bible, cats, Dogs, family pet, man's best friend, pets on September 23, 2016 by Animals Are Feeling Beings Too. Thank you for your nice comment! I am always thrilled to meet others who see that animals deserve respect. 🙂 Thanks for visiting my blog and I hope to see you around it some more. I’ll have to check out your blog too! SO SO SO SO Cute Animals. Such Darling Kissable Faces. Those SOULFUL Eyes, Those Cute Sleeping positions. I can use the picture on my blog sometime? 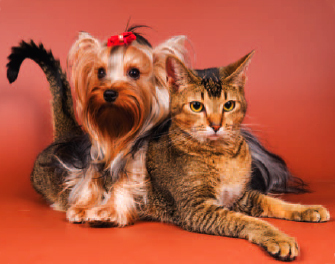 Are these your pets and did you take this picture? You are welcome to use the pics. I think we should all care more about God’s beautiful creatures, treating them like the blessing they are!